The classroom does not end with the campus's physical boundaries. The city of Washington, D.C., serves as an extended classroom for students at all levels of study. Graduate students in biology and physics can find exciting research opportunities close to campus at the National Institutes of Health and NASA's Goddard Space Flight Center. The Library of Congress is a magnificent resource for undergraduate and graduate students alike. The halls of Congress and numerous public and private agencies abound with internship opportunities. And with Washington's comprehensive Metro system, getting around, even without a car, has never been easier! 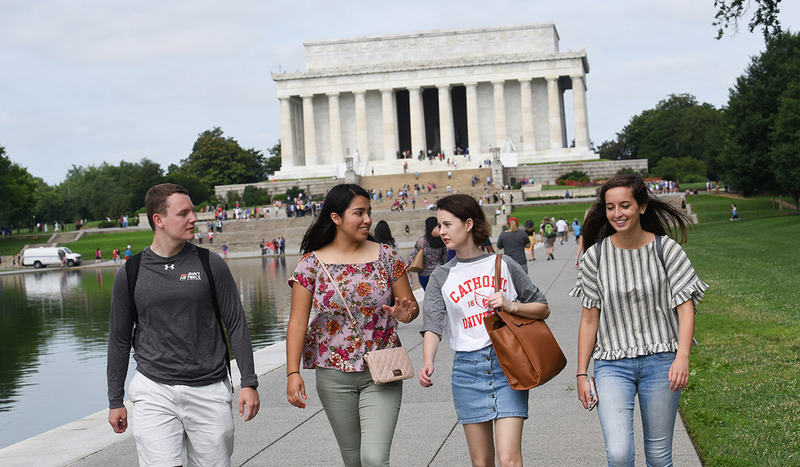 In addition to academic and professional opportunities, Washington, D.C., offers cultural, entertainment, and artistic experiences. From performances at the Folger Shakespeare Library to exhibits at the Smithsonian museums to ballgames at Nationals Park, our D.C. location is alive with exciting and enriching possibilities. 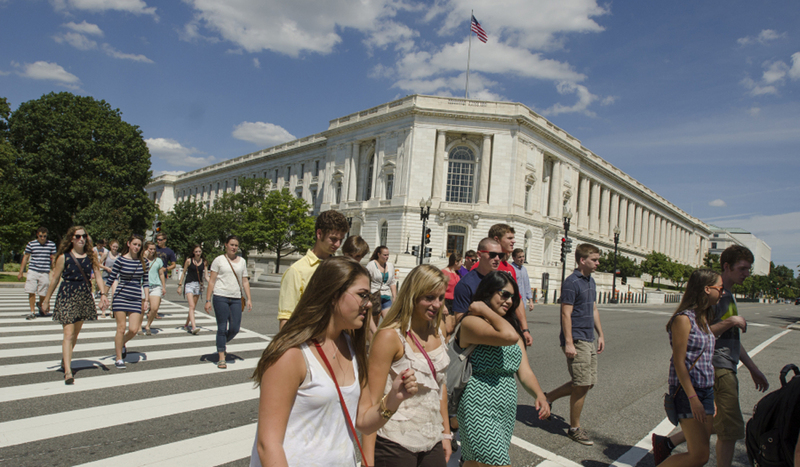 Studying in Washington, D.C., has numerous advantages for students of all disciplines.